The Sims 4 Get Famous Expansion Pack is just around the corner for Console players! This Expansion Pack is being released for Xbox One and PS4 in less than 3 months after the release on PC and Mac. 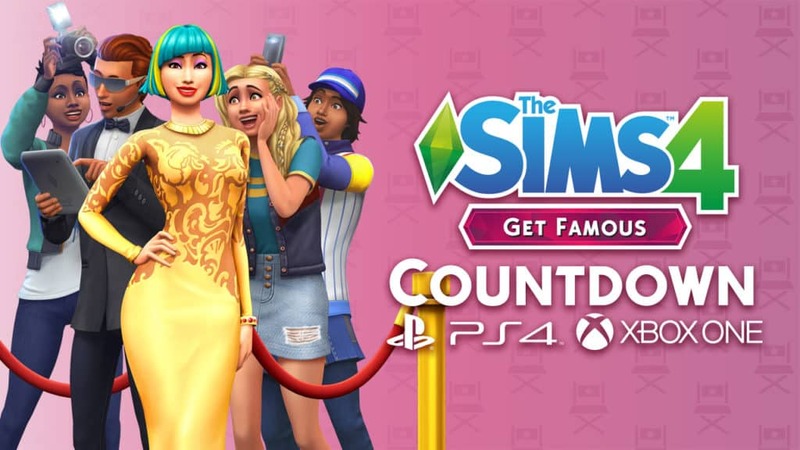 As you may already know, the official release date for The Sims 4 Get Famous Expansion Pack for Xbox One and PS4 is on February 12th, 2019. If we take in consideration the previous Expansion Pack releases that happened on Console, we can expect the pack to come out at 10AM PT / 7PM CET / 6PM BT. Time zones are definitely confusing which is why we wanted to help you out with the countdown below! The countdown is ticking until the exact time that we’ve listed above. It’s set so that no matter which time zone do you belong it’ll count down to zero, which is when the pack will be available for download.